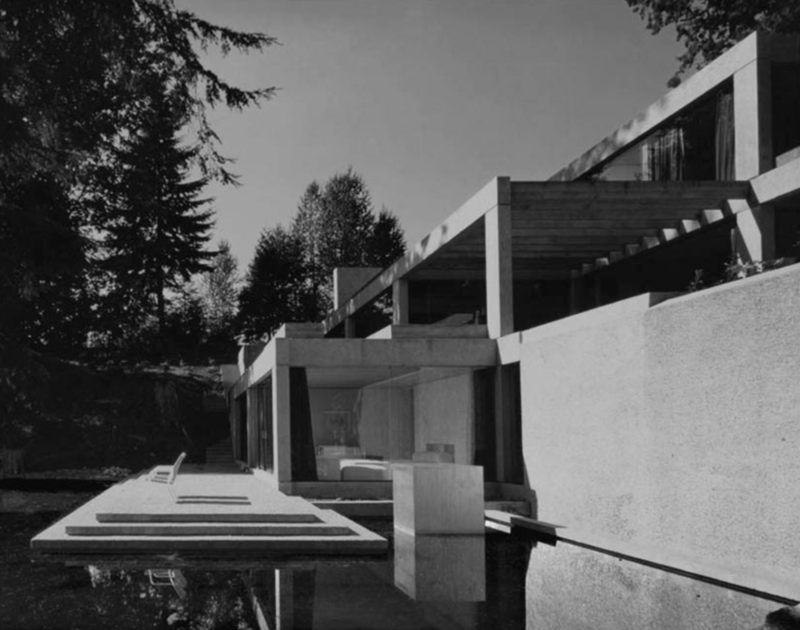 Born Vancouver in 1924, Arthur Erikson's buildings were most commonly modernist concrete structures, designed to naturally sit in their locations. 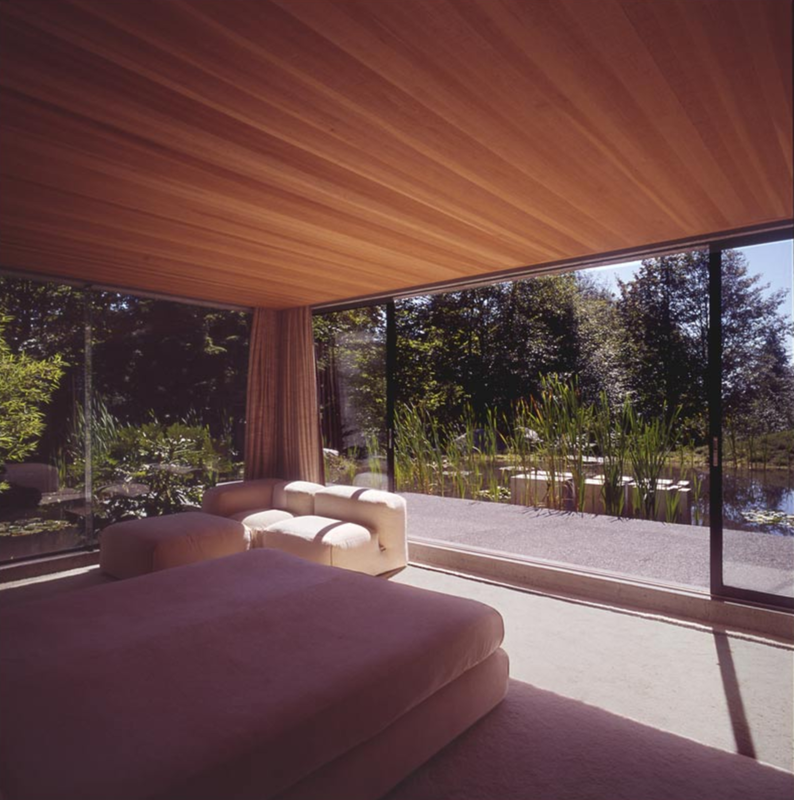 Designed in 1972 , Helmut and Hildegard House Eppich House was a prime example of his design style. The site was originally considered unbuildable, as it was used as a dumping ground. Erikson designed a concrete structure which made use of the the large site. Part of the stream which was running through the site was diverted to form a small lake which brought intimacy and reflected light to the sheltered site. The property itself comprised 3 storeys, with stepped terraces across the site, held by retaining concrete retaining walls, with beams and columns supporting the roof and trellises. Internally, the house descends through a garage and storage area at the top, the living dining, kitchen and swimming area below this, with the bedrooms and main entrance on the floor below. At basement level the man feature is the man made lake.